Meperidine is used to treat acute episodes of moderate to severe pain. It is known as a narcotic analgesic that produces multiple actions comparable to morphine. The drug can affect the central nervous system, as well as internal organs that consist of smooth muscles. Some actions the drug produces are of therapeutic value, such as its sedative and analgesic uses. There is some evidence to suggest that meperidine produces constipation. Meperidine is not meant to be used long term. Typically, it should not be used for longer than 12 weeks. It also should not be used to treat chronic pain. Long-term use of meperidine can lead to tolerance and dependence. Meperidine addiction treatment is available to help those who may have become addicted to the prescription drug. To locate a meperidine addiction treatment center that can help you transition to a drug-free lifestyle, call our toll-free hotline at 1-888-287-0471	Who Answers? for a referral. Meperidine is a white crystalline substance that is easily soluble in water. It has a slightly bitter taste and has a neutral reaction. The drug will not decompose during a short, five-minute boiling period. Since meperidine is a type of morphine, it is highly addictive. The drug is sometimes abused by people who are addicted to it. People have been known to chew, snort, crush and inject the drug after dissolving it. These actions result in the person receiving an uncontrolled delivery and dosage of meperidine, which can result in an overdose of the drug and even death. Abusing meperidine can result in drug tolerance, which is a condition in which a person must take higher and higher doses of a drug to achieve the desired effect. If a person takes too much meperidine, however, the outcome could be fatal. The person may stop breathing or can slip into a coma. If you are experiencing these withdrawal symptoms and would like to stop using meperidine, it is best to pursue meperidine addiction treatment in the safety of a rehab center for meperidine detox treatment. Call our toll-free confidential helpline at 1-888-287-0471	Who Answers? to find a treatment center that is right for your needs. In most cases, addiction to meperidine is not the fault of the person taking the drug. Some people begin taking the drug for a short-term legitimate use, and it quickly leads to addiction. Meperidine detox treatment has helped many of these people recover from their addiction to meperidine. Those who abuse prescription drugs like meperidine often attempt to cover up their abuse of the drug, not wanting those close to them to learn of their addiction. It may become quite a challenge to convince your loved one who is addicted to meperidine to seek treatment options for his or her addiction. Interventions are often required to convince a meperidine addict that abuse of the drug is dangerous. If you notice any of the following signs or symptoms, you or someone you know may be addicted to meperidine. Trained professionals are available to treat meperidine addiction. You need to review and weigh all the treatment options available to find the meperidine addiction treatment that fits your needs. For a referral, you can contact us at our toll-free 24/7 helpline at 1-888-287-0471	Who Answers? . Pregnant women should not take meperidine prior to going into labor because the drug has not been proven to be safe for use during pregnancies. It is unknown what effects merpidine use may have on a developing fetus. Allergic reactions: urticaria, pruritus and other skin rashes, hypersensitivity, flushing, and sweating. It is not recommended to abruptly stop taking meperidine. Depending on how long a person has been taking the drug and how much he or she has consumed during that time, quitting abruptly may lead to severe side effects, such as seizures or slipping into a coma. People addicted to this drug should pursue a step-down approach to stopping use of this drug. “The primary option for the treatment of meperidine addiction is gradually reducing the dosage taken over a long period of time.” The primary option for the treatment of meperidine addiction is gradually reducing the dosage taken over a long period of time. With this method, withdrawal symptoms are kept to a minimum so that the person can safely and gradually stop taking the medication. 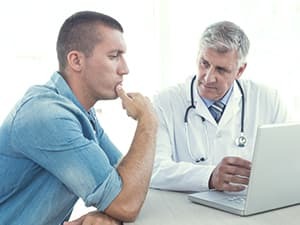 Sometimes an inpatient meperidine addiction treatment center is the best option for meperidine rehab because inpatient meperidine detox treatment limits the person’s access to the drug, thereby reducing temptation. Inpatient treatment, however, may not be the best option for everyone, since some people’s lifestyles and other commitments simply don’t allow them to be away from their family for the amount of time that may be required for inpatient treatment. Another viable option is to gradually transition the person to a benzodiazepine drug before beginning the dose reduction of the meperidine. For patients who are resistant to treatment or who may be difficult to treat, a rapid detox drug such as Flumazenil may be the answer. With this method, the person can complete the withdrawal process in seven days. Withdrawal symptoms may be noticeably reduced or even absent. However, it’s important to note Flumazenil has been shown to produce seizures in 1 to 3 percent of people who have taken the drug. Taking this drug for meperidine addiction may come with other disadvantages. You will want to talk to a knowledgeable and experienced professional about the advantages and disadvantages of using this drug to treat meperidine addiction. If you have any other questions about treatment for meperidine addiction, contact our national hotline at 1-888-287-0471	Who Answers? . Meperidine is known to have even more addictive effects when it is used with other opioids, alcohol, or drugs that cause depression to the central nervous system. Talk to your physician if you are taking drugs for medication and have an addiction to meperidine. To achieve relief from the addiction to meperidine and to avoid relapse, it is necessary to detoxify from meperidine. Your body needs to purge the drug and all the associated symptoms from your system so that it can begin to function normally again. It only takes days to become addicted to meperidine, but it can take from several weeks to several months to get through the meperidine detox process. A meperidine rehab center often employs additional treatment options that can help you in your detoxification process. Some of these detox methods involve maintaining a special diet, participating in cognitive-behavioral therapy, and trying alternative medicines, such as acupuncture. Meperidine can appear in the milk of mothers who nurse their babies while they are taking the drug. Because serious adverse reactions can occur in those who are nursing infants, the mother should decide whether she would like to continue taking meperidine or continue nursing. She should not do both. Literally thousands of meperidine rehab centers are located nationwide to help you in your recover from meperidine addiction. The key to finding the one that is best for you is taking the time that may be necessary to research all available options before selecting the meperidine treatment center that will meet your individual needs for treatment. One way you can start your search is by calling our free 24-hour helpline at 1-888-287-0471	Who Answers? . Not every treatment facility offers both inpatient and outpatient treatment. Whichever of these options you choose will affect your life and your treatment for meperidine addiction. An inpatient facility will typically require you to check into the center for a certain length of time. Meperidine addiction inpatient treatment is usually a good option for those who are in dangerous situations, which may or may not be caused by their addiction to meperidine, or for those who need time to recover from their addiction without the interference of any outside distractions. For outpatient treatment, you will be required to travel to a meperidine addiction treatment center every day (except weekends) to meet with your addiction specialist about how you are progressing with your treatment. Outpatient treatment is typically cheaper than inpatient treatment and will allow you the flexibility to continue your employment, as well as your relationships. The drawback to outpatient treatment, however, is that you will not get away from the environment that may have led to your addiction to meperidine, which could very well increase your chances for relapse. Whether you choose inpatient or outpatient treatment, you may find that you need to put other things in your life on hold until you have completed your meperidine addiction treatment. Whichever option you select, be sure that it is the best one to match your needs and your lifestyle. Meperidine can interact with other medications you may be taking, which can increase the adverse side effects from meperidine or from the other drugs. Use caution when taking meperidine with these drugs: ancyclovir, cimetidine, phenytoin, ritonavir, and other opioid analgesics. To get the most out of you meperidine addiction treatment program, you’ll need to know what to expect. You can assuredly expect that the meperidine rehab center will help you to recover from your psychological and physical addiction to meperidine. A physical addiction to the drug is generally the easier of the two problems to overcome. Psychological addiction is typically seen as the more severe problem because you may have developed an intense attachment to taking meperidine. Review a few tips to help you get the most out of your meridine addiction treatment. Find the right treatment center: You want to select a treatment center that will address your particular wants and needs. If you feel comfortable with the meperidine treatment center, you are more likely to complete the entire treatment program. We can recommend a treatment facility that will offer the program that best meets your needs. Call our compassionate representatives at our toll-free 24/7 hotline at 1-888-287-0471	Who Answers? . You can trust that they will answer any questions you have about treatment and will help you to select the treatment center that is right for you. Participate fully in your treatment program: You may experience a wide variety of emotions, feelings, and thoughts regarding your addiction to meperidine and your need for treatment. Some of these emotions can interfere with your participation in your meperidine addiction treatment program. Just remember that you are responsible for your recovery from your addiction to meperidine.You are capable of living your life successfully, free from addiction to meperidine or any other prescription drug. However, you need to give 100 percent to your treatment program and fully participate in your recovery plan to be able to acquire the knowledge and skills that are required to stay sober over the long term. Don’t hesitate to call the meperidine addiction treatment center helpline for any questions you might have before, during, or after treatment. We’re available 24 hours a day, seven days a week at 1-888-287-0471	Who Answers? to answer any questions you might have regarding treatment.